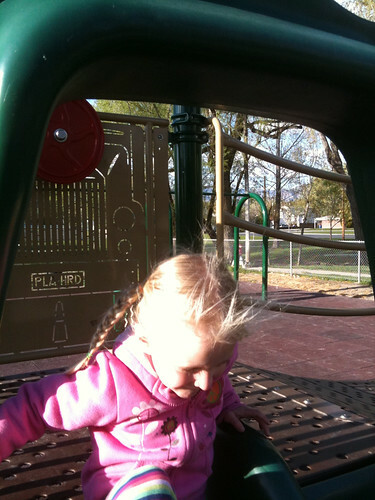 Here's when Sophia and I went to the park. Some video to show you how wild she is, and the lurching I had from my Sprained Ankle. 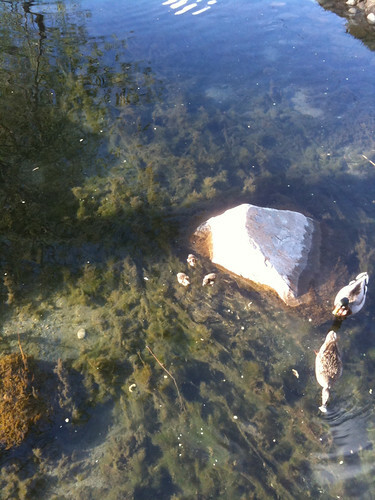 But first, Baby Ducks! 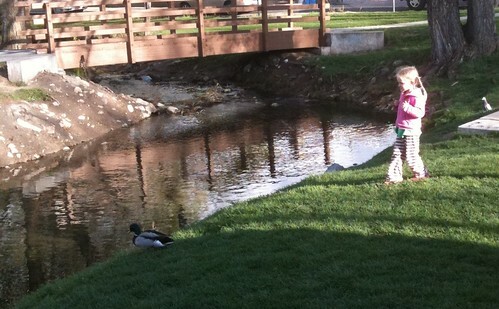 Here she is sneaking up on the ducks. 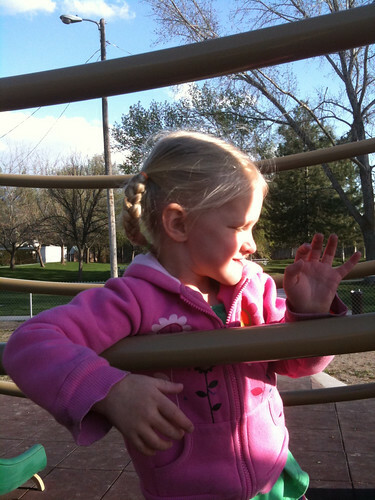 I think Sophia and I will have to learn to hable espanol if we are going to want to talk to anyone at the park. Here's video of her running non stop. My allergies were so bad when I went to watch Dayne's baptism that I went to the Dr. the next day and got a prescription for Flonase, an inhaled steroid. It's been working pretty darn good - all I take is that and Zyrtec now and I'm good all day. No more psuedoephedrine required. Abbey ran the Half-Marathon this month, the second one she's done so far. She's gonna need a whole new wardrobe now that she's getting so skinny.